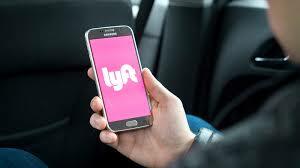 Cities all over the world have been hit with the rise of on-demand services like Lyft, Uber, DoorDash, Postmates, Caviar and so many others in recent years. Last year, there were 5.4 million on-demand workers in the country. This year, there are an estimated 6.8 million people working in the on-demand economy, according to now-former Kleiner Perkins Caufield and Byers analyst Mary Meeker’s state of the internet report. While San Francisco has found some success managing and regulating ride-hailing services, moped sharing, bike sharing and, most recently, scooter sharing, it says it’s missing some critical data around the 1099 workers who deliver food, groceries and other items via tech startups. That’s why the San Francisco Municipal Transportation Agency is looking to better understand the role of these services through a new survey. How many couriers enter SF on a daily basis? What time of the day do couriers complete most deliveries? Where are the most deliveries made? The survey asks questions about how far couriers have to travel to the delivery pickup location, how frequently they accept a new delivery, their primary mode of transportation and for which service they deliver goods. Based on one of the survey’s questions, it seems that the city is considering allowing couriers to use loading spaces for pickups and drop-offs.